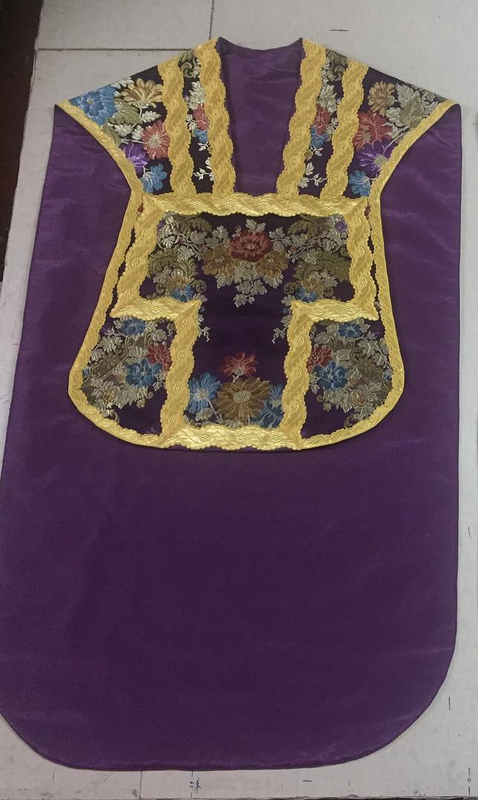 Today I wanted to very quickly share a little bit of the vestment work of Pluriarte. 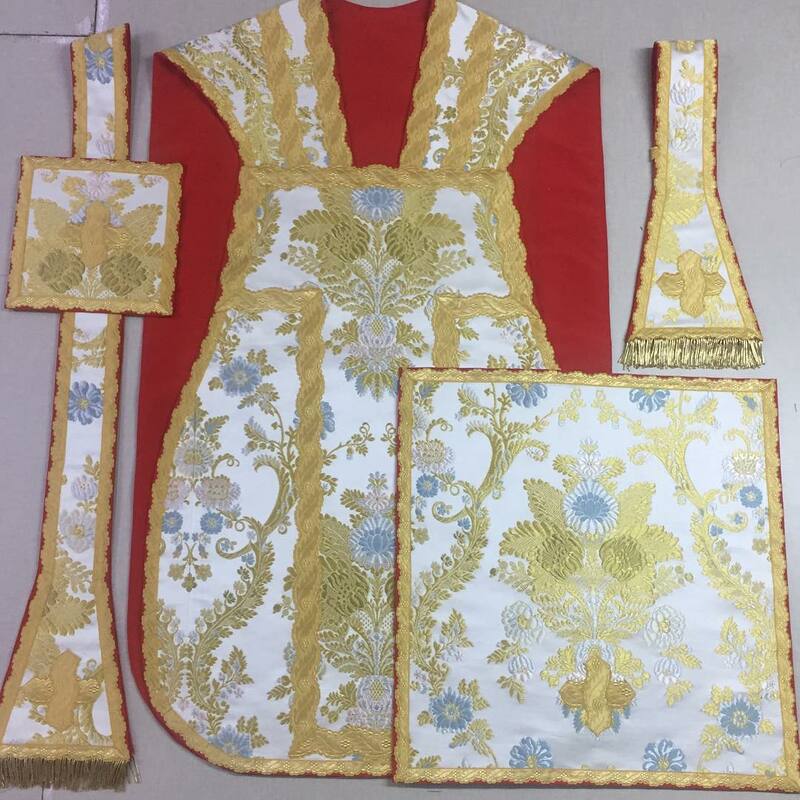 Pluriarte specializes in vestments in the French, Italian and Spanish traditions, showing influences, in both form and design, that span the 17th through 19th centuries. What I mean is that they have your classic Borromean and baroque type cuts, as well as textile selections that echo the tastes of the 17th, 18th and 19th centuries. The example I thought I would bring forward to you today is a white chasuble that is rooted within the Italian tradition. This particular vestment utilizes a textile that has echoes of the pastel tones so typical of the 18th century. (The 19th century, by comparison, was frequently characterized by darker colours.) 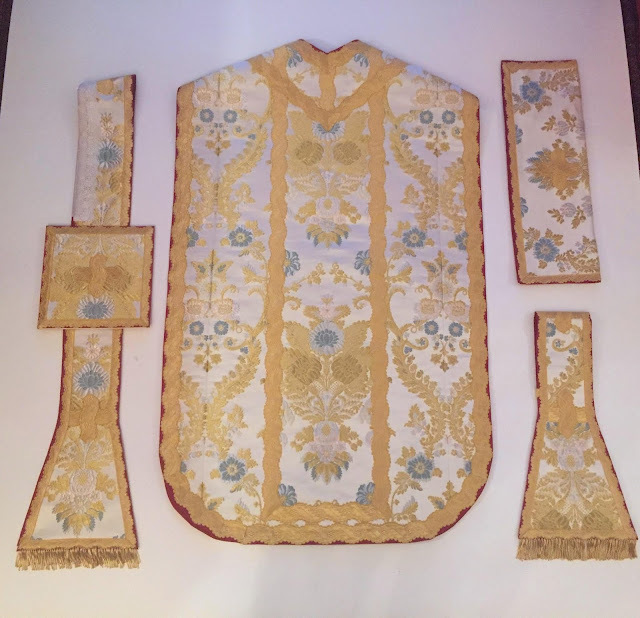 This particular chasuble is one that could be very well suited to Marian feasts with its blue accents, but it most certainly could have a much wider application as well.